On Thursday, OPEC announced that it would not curb production to combat the decline in oil prices, which have been blamed in part on a global supply glut. And now that oil prices have fallen more than 30% in just the last six or so months, everyone wants to know how low prices can go before oil projects start shutting down, particularly US shale projects. 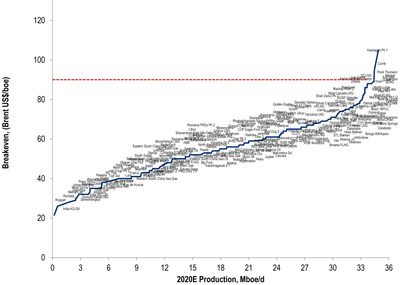 In a note last week, Citi’s Ed Morse highlighted this chart, showing that for most US shale plays, costs are below $US80 a barrel. 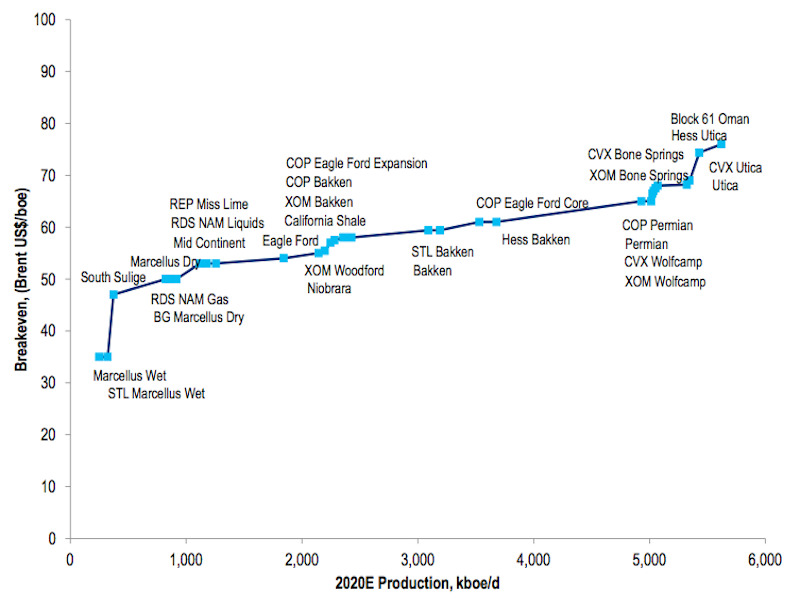 Morse writes that if Brent price move towards $US60 — they’re currently around $US72 — a “significant” amount of shale production would be challenged. Over the last few years, Morse writes that companies have been willing to consider projects if they can sell the project’s oil for $US90 a barrel. 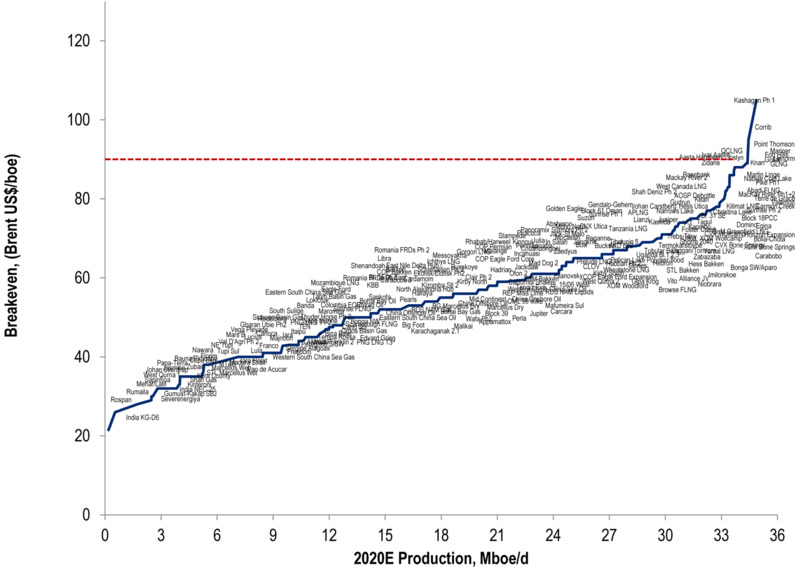 And while the chart shows that almost every project that has been considered by companies to this point has required prices less than $US90 to break-even, Morse writes that companies are cancelling projects that require oil prices above $US80 a barrel to break-even as the futures market has made hedging above that price a challenge. And beyond the implications for the economic feasibility of projects right now, there are also implications for future global supply. On Friday, Business Insider’s Shane Ferro also highlighted comments from analysts at Morgan Stanley, who write that while we’re focused on lower prices today shutting down projects, potentially supply shortfalls and upward price shocks in the future could be even more harmful in the future.